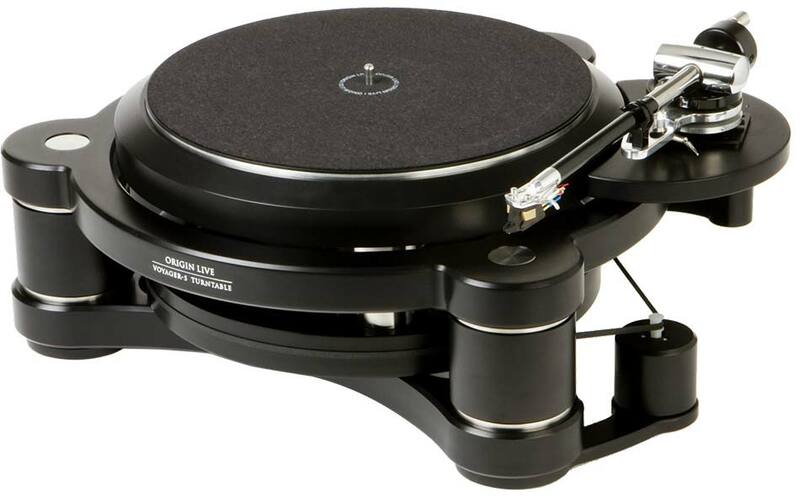 Our Turntables have won numerous awards from a wide spectrum of Hi Fi Magazines. Stand out benefits include performance, innovation and natural musicality. This overview begins with entry level and climbs to aspirational. Experts agree that leading turntables provide the most satisfying musical experience than a digital counterpart. The record player still reigns supreme in terms of performance. Unlike CD there seems no limitation on the musical information it can extract. In recent years, advances in some turntables have caused the gulf between digital performance and vinyl to widen even further. Origin Live draws together many long-established principles of high end turntable design, along with advanced innovations, to reveal just how much the vinyl medium is capable of. Most of those unfamiliar with Hi Fi are unaware of major sound quality differences between one turntable and another. There are upwards of 800 different decks on the market. Faced with such colossal choice, many buyers take the short cut and assume “if it looks good, and has a good review, it must be good”. Unfortunately nothing could be further from the truth. To it’s credit, the Hi Fi press has long extolled the importance of a good turntable as fundamental for high sound quality. The premise of “rubbish in rubbish out” will always hold true when it comes to signal quality. In other words, if the source signal is degraded in the first place, everything else in the Hi Fi Chain can only exaggerate the problem. CD players sound different to one another, but not a lot in comparison to turntables. Turntables have more influence on the sound of a system than almost any other item of Hi Fi equipment and the differences between them are massive. A better turntable will improve the clarity, dynamics and ability to follow every strand of the music plus other aspects too numerous to mention. Gone is blurred, woolly bass and general confusion in the sound. Better turntables also have increased pitch stability adding a sense of sub-conscious sense of rhythm, security and confidence to your listening experience. For example a cheap £65 turntables will fall well short of CD performance whereas a good £1500 turntable should outperform CD. However turntables can improve a lot further with higher investment and the right choice. No one could blame you for being skeptical that a truly high performance turntable is worth the investment. It’s usually only by hearing a direct comparison between two similar looking decks, that the penny drops. The difference in musical cohesion, dynamics and ability to follow music effortlessly is simply jaw dropping. It leaves one wondering how such massive differences can possibly exist, when to all outward appearances things look the same. We explain this in our article what makes the best turntable. The conclusion is that it’s worth hearing turntable differences so you know what’s possible in terms of sound quality. If you are transferring your vinyl collection onto digital recordings for convenience your recordings will only be as good as the source turntable (and front end chain). You can greatly enhance the sound quality of your recordings by using a high performance turntable and this can represent a wise investment because digital recordings can be very close to the original sound. The fact that this will surpass most CD recordings and streamed music may seem contradictory but the explanation is included in our article Analogue vs Digital Sound Quality. Acquiring a good Record Player is a process that’s really worth getting right. Like buying a house, it’s going to be with you for a long time. There are many mediocre decks on the market with excellent reviews. This makes finding the best turntable all the more difficult. If you pay attention to every review that ends with words to the effect of ” worth adding to your shortlist”, you will end up with hundreds of turntables to audition. ◙ Aesthetics – You probably want to like the look of your deck but it also needs to fit in with your decor or other Hi Fi Components. ◙ Reliability – Some designs have far greater longevity than others due to better design. It’s difficult without naming specific manufacturers to identify the problems that arise and this is an aspect which reviewers are unable to comment. ◙ Upgradability – Some decks are much more difficult to upgrade and exchange than others. This is a complex subject but think in terms of changing arms or part exchange. ◙ Resale value – Linked to the above is re-sale value. Less well known decks or those without spectacular endorsements and awards do no do so well on the 2nd hand market. ◙ Build Quality – Most manufacturers have little to differentiate between them in this aspect. ◙ Set up – how easy is it to set up the deck? ◙ Servicing, maintenance and repair – Typically decks with suspension using springs and rubber grommets need regular servicing as the rubber compresses. The speed may also need to be checked and adjusted due to belt wear. Service costs vary massively between turntables. ◙ Popularity – A “safety in numbers” approach is sometimes valid but too many notable exceptions make this an unreliable benchmark. There is general advice on selecting products and apportioning your budget in how to choose Hi Fi.